This urn is 100% biodegradable! 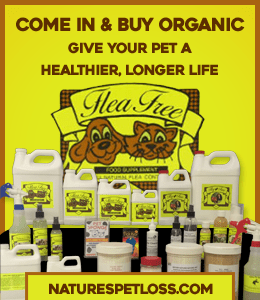 For those who love our earth and believe in natural products. Exclusive for Natures Pet Loss! This Biodegradable Swarovski Crystal Paw Print Urn are produce from organic resources. Having an excellent shelf life, giving you time to reflect your decision. Exclusive for Natures Pet Loss! 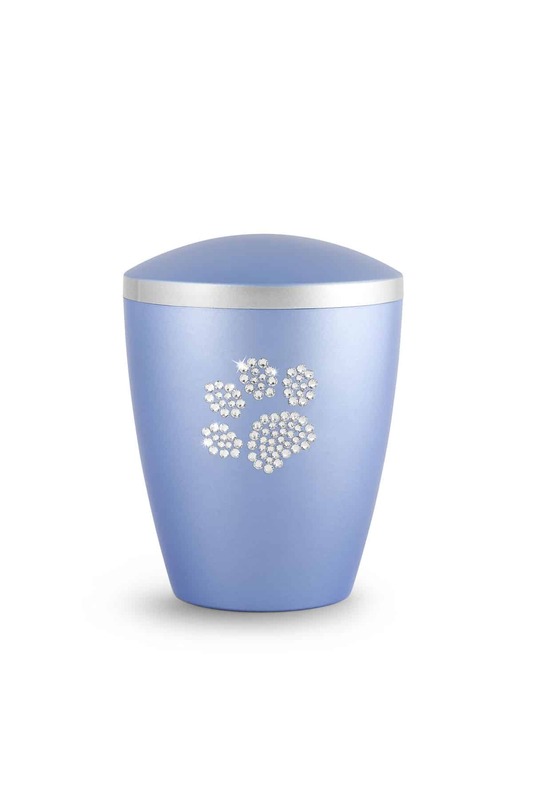 This Biodegradable Swarovski Crystal Paw Print Urn are produce from organic resources. 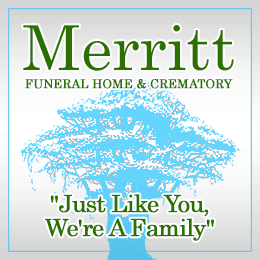 Having an excellent shelf life, giving you time to reflect your decision. Only when they are placed in the soil do they begin to break down, in approximately 3-5 years. 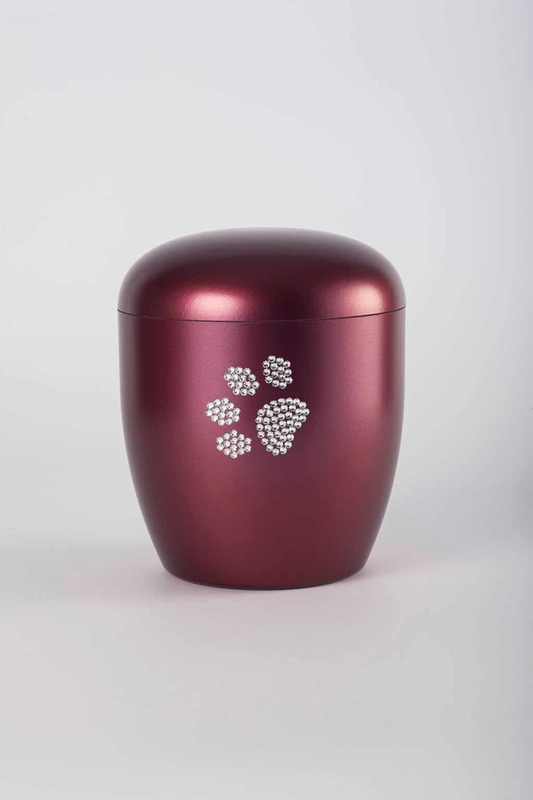 Biodegradable Urn with Swarovski Crystal Paw Prints comes in two sizes. 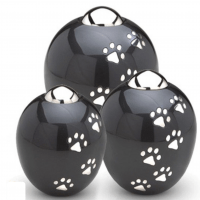 Large holds up to 200 cubic inches or approximately 200 pounds and is 9.5″ high. 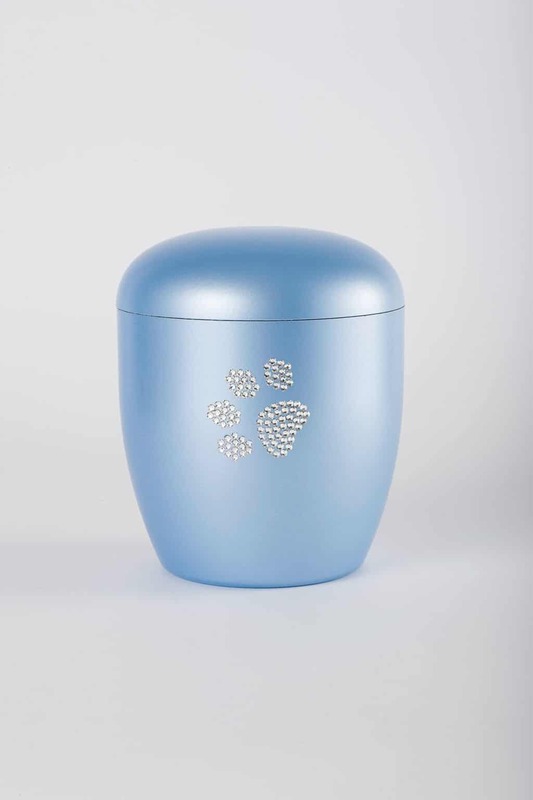 Medium urn holds 70 cubic inches or approximately 70 pounds, and is 6″ high. 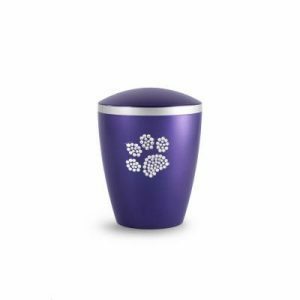 If you are using Water – Cremation the large urn will only hold approximately pet weight of 150 pounds Great for long term use around the house, it will not break down until buried! Made from sunflower seeds and wood by product, this Eco-Friendly, Biodegradable Urn is imported from Germany. 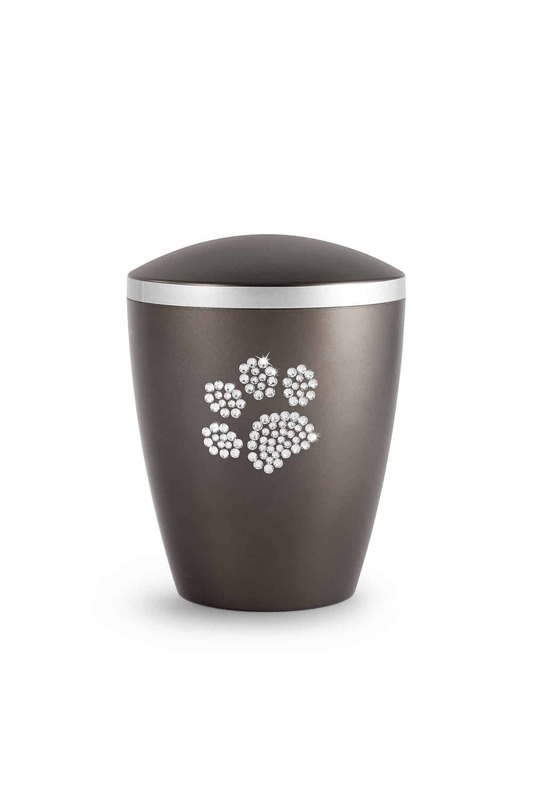 These urns are for those who care about the environment, but love the bling! Each Swarovski Crystal is applied very carefully by human hands! It can be cleaned with any crystal cleaner, will not come by just rubbing it. 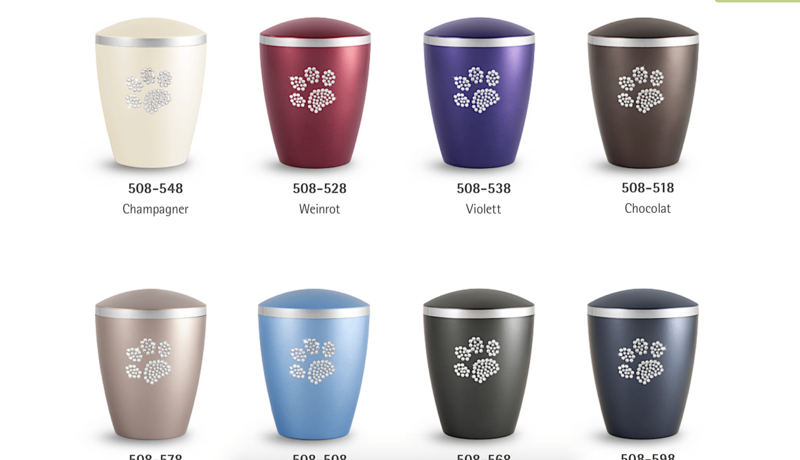 You will love how the crystals shine of rainbow colors. Biodegradable Urn with Swarovski Crystal Paw Prints represents the beauty of an urn without the destruction of killing a tree. 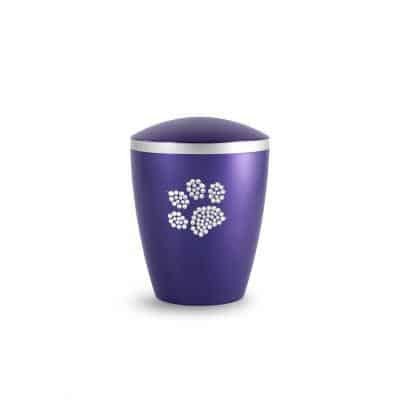 Think about going green this urn is your answer. Done with beauty, love, and the thought of your family pet member. 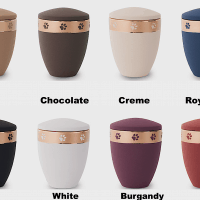 These urns can be customized call for more information at (352) 777-4990. Eko-Urns are made from ARBOFORM® consisting of lignin, which is a byproduct in the cellulose pulp process, similar to making paper. Lignin is a product that is made for injectable molds. It is used even on car steering wheels. 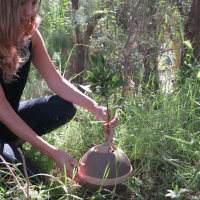 ARBOFORM® product breaks down the same naturally way grown wood, i.e. by decay. The amount of CO2 pollutant that is emitted in this process, is no more than in the atmosphere by the plants while growing. 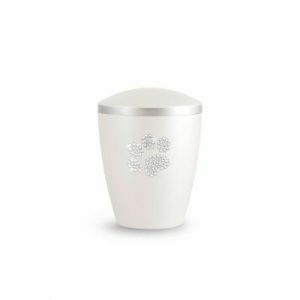 “ARBOFORM® is liquid wood” http://www.tecnaro.de/english/willkommen.htm?section=we.